Use our Native Plant sign to inform and educate your neighbors about your native prairie planting or restoration project. The sign reads "Native Planting. No Yard Waste! No Herbicide! Please do not dig, pick, mow or trample". 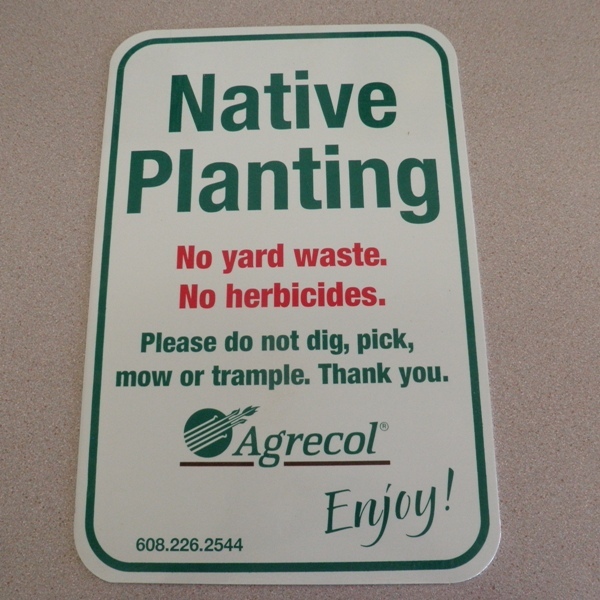 Sign also displays Agrecol logo and phone number. The metal sign is durable, sturdy and can be easily bolted to posts.